3.1 What is Real Website Security? There are two ways to install Joomla on your website. These are the automatic “one click” installation method and the multistep manual installation method. In this article, we will review how to install Joomla to your website using a commonly available web hosting tool called Softaculous, which is the easiest way to install Joomla. The benefit of Softaculous is that you can choose between any of several versions of Joomla during the installation process. Installation with Softaculous can be done in less than one minute. Think of it as two to three clicks. This article assumes that you have already secured your domain name(s) and your web hosting and that you have correctly “pointed” your domain name(s) to your web host servers – topics discussed in Chapter 1. The Softaculous method of installing Joomla involves basically four steps. We first will use Cpanel to create an Add On Domain. This will also create a folder to install Joomla into. 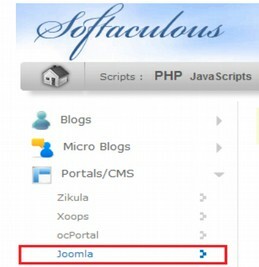 Next, we will use Softaculous to install Joomla into this folder. Third, we will log into our new website and finally we will change some of the initial configurations. Then enter your web hosting account user name and password. You will see something that looks like the following screen. Even if you are doing a one click installation of Joomla, you will first need to decide where you want your website to go. Regardless of where you have your hosting account, you will be assigned a root folder which you access by way of your Hosting Cpanel File Manager. You can install Joomla directly into this Root folder. Alternately, if you have more than one domain name, you can use the root folder to install Joomla into for your Primary Domain Name and then create subfolders inside of this primary folder to install additional domain names and Joomla applications. These additional domains are often called secondary domains or add-on domains. What is the difference between a Primary Website Folder and a Secondary Website Folder? The first decision we need to make when installing Joomla is whether to install it into our primary website folder or to create another folder inside of our primary folder to install Joomla into an “Add On” Domain. All websites are stored on the web host’s server in folders (which are also called Directories). Each website has one main folder called its ROOT FOLDER (also known as its root directory). This is true whether a website is a primary website in your hosting account or a secondary website. If your web host allows you to have “unlimited” add on domains, you can have many more websites. You will need to choose one of them to be your primary website and all of the remaining websites will be listed in your C Panel File Manager as sub-folders which are placed inside of the folder for your primary website. The key issue here is that your primary domain should be something you are planning on keeping because deleting it might affect the links to all of your secondary websites. But each of your websites will operate as separate websites on the Internet. Viewers who visit your websites will not be able to tell which one is the primary domain and which ones are secondary domains. If we want to install Joomla in a domain that is not our primary domain, we need to set up the add on domain in C panel. This process will create the folder for the new domain inside of the main folder. This new domain will then also be listed as an option during the Joomla installation process. After you have logged in to Cpanel, go to the Domains section in Cpanel. Then click on the Addon Domains icon. Enter your new domain name. Then just click your cursor in the box called FTP username. Cpanel will automatically enter an FTP username and Document Root folder name. Type in a password you can remember. Then click Add Domain. Wait for few seconds until you get a message “Addon domain created“. New Domain Name- Enter the name of the new domain you want to use as an addon domain. You can leave out the http:// or www.v When you enter the new domain name, cPanel automatically fills in the Subdomain/FTP Username field. However, you can manually change the username into any other unique name. Subdomain/FTP Username – Enter a name for the new FTP user which will be created automatically when you create the add on domain. To remember it, name it the same as the domain name without the ending extension. Document Root – Cpanel also automatically fills in this box. But this too can be changed to whatever you would like. This is the name given to the location or path to the new directory (File folder) which will be created for this new addon domain. Its best to name this the same as your domain name using lower case letters with no spaces. But you can also leave this blank and the system will automatically create this field for you. Click the Add Domain button. Your Add On domain files will be stored in a subdirectory of your public_html (Document Root) directory. Addon domains allow you to control multiple domains from a single account. Scroll down in Cpanel until you see the Softaculous icon under Software Services. Click on it to open it. Then click on Portals/CMS. Then click on Joomla. To start the Joomla installation, click on Install. Select the latest version of Joomla from the drop-down menu. Under "Choose Domain," be sure to select your Add On domain here. Then choose the installation folder for the new application. Leave the folder box empty if you want Joomla to be installed in the root directory of your account. For Choose the version you want to install, you generally want the latest “long term release” version of Joomla. For Choose Protocol, you usually want just http://. Here is a close up view of the lower part of the Software Setup screen. Choose Domain... Be careful what domain you choose. If you choose your root domain name, it will over-ride your root website and install a new version of Joomla in its place. To install Joomla in an add on domain, you must select the addon domain here – which means you must have already created the add on domain with the Create Add On Domain process. In Directory... This is the folder you want to put your website in. If you leave the folder blank, Joomla will be installed in the root folder of this domain. In other words, leave this box blank to install Joomla into myaddonsite.com. If you put the word joomla into the box, Joomla will be installed into myaddonsite.com/joomla. 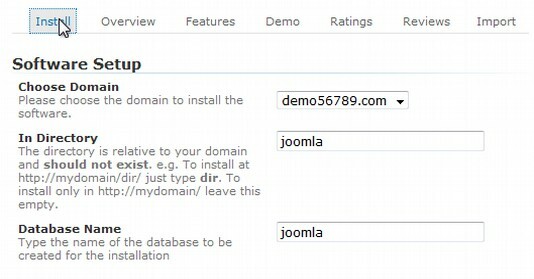 If you use the word joomla as shown above, for the website demo56789.com as shown above, then to access your new Joomla website, you would have to go to demo56789.com/joomla. This is generally not what you want. This is why we recommend leaving the In Directory box blank. This will allow Joomla to be installed in the root folder for demo56789.com. Database Name... By default, your new database will simply be called joomla. You can add a longer description here – using all lower case letters and numbers with no spaces. Below is the rest of the Softaculous Installation screen. Site Description... This can be just a few words about your website. This is useful for search engines. 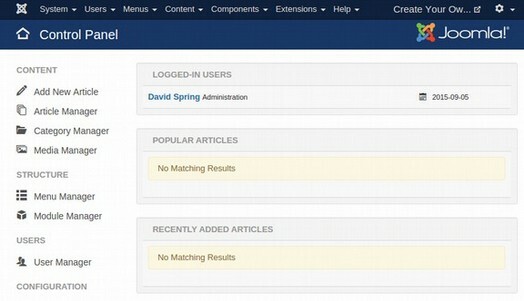 It can be changed later from the Joomla Admin Panel. Table Prefix... This can generally be left at its default setting. Import Sample Data... This should generally be left unchecked as if you install sample data, you will then need to delete it later. Admin Username and Password... Create an administrator user name and password. Do not use Admin for your username and do not use pass for your password. Admin Email... Enter your real correct administrator email address. This will be used to notify you when your Joomla installation is complete. It will also be used later if you forget your password and need to reset it. Because this email address may be sent passwords and other sensitive information, you should only use a security encrypted email service such as ProtonMail for the Admin Email. See the following link for how to set up and use a ProtonMail account. Admin Full Name.... Enter your real full name. 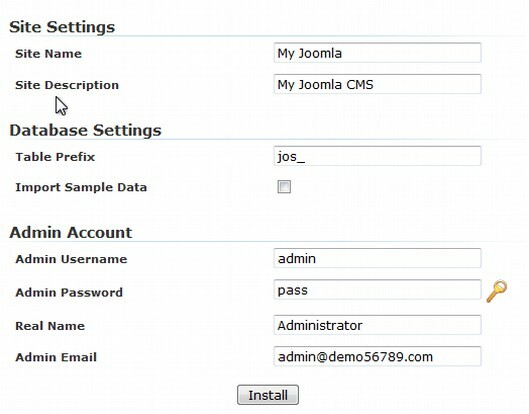 This link will take you to the Joomla Administrator Log in screen. Then click on Switch to PHP Options in the upper right corner of this same screen. By default, Upload Maximum File Size is set for only 2M. This is way too small. Increase it to at least 32M and even 128M if you would like to upload videos. Also increase Post Max Size to the same value. Also, increase the max execution time from 30 seconds to 60 seconds. Then click Save. Finally, one of the first things you should do after installing any Joomla website is to activate your ht access file. Go back to the Cpanel home screen and click on your cPanel file manager. Then change the name of the root directory htaccess.txt file to .htaccess. Note: Before entering your file manager, cPanel pops up a message asking you where you would like to go within your file structure. At the bottom of the radio buttons, you will see a checkbox asking you if you'd like to view hidden files. Check that box before entering your file manager to see the .htaccess file. If your menu links trigger errors with SEF Friendly URLs and/or Rewritten URLs, you may also need to open the .htaccess file with your File Manager. Then locate a line that says #RewriteBase and delete the hash character (#). 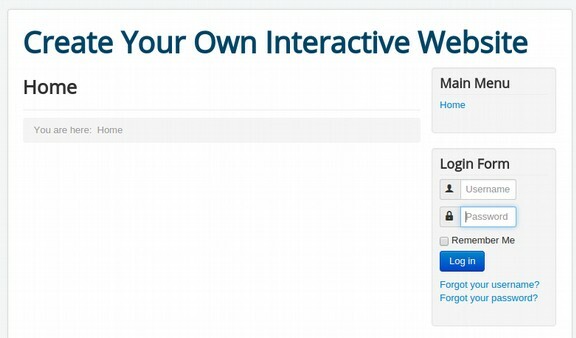 Enter your user name and password to reach the Joomla Control Panel. After deleting all of the Welcome Messages, your control panel will look like this. All Joomla websites come with a front end which is seen by the public and a back end that is seen only by administrators. To see the front end of our website, click on the website name in the upper right corner of our control panel. Here is the front end of our new Joomla website without any sample data. 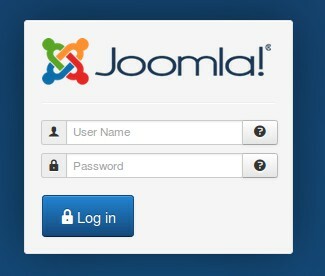 To log back in to the Joomla Control Pane, go to mysite.com/administrator. This will take you to the Joomla Administrator Login screen. Enter your Admin username and password. Click Log in. Congratulations! You now have a Joomla website. In our next article, we will take a quick tour of the Joomla Administrator Control Panel and describe some important changes we will want to make to the initial configuration of our new Joomla website.